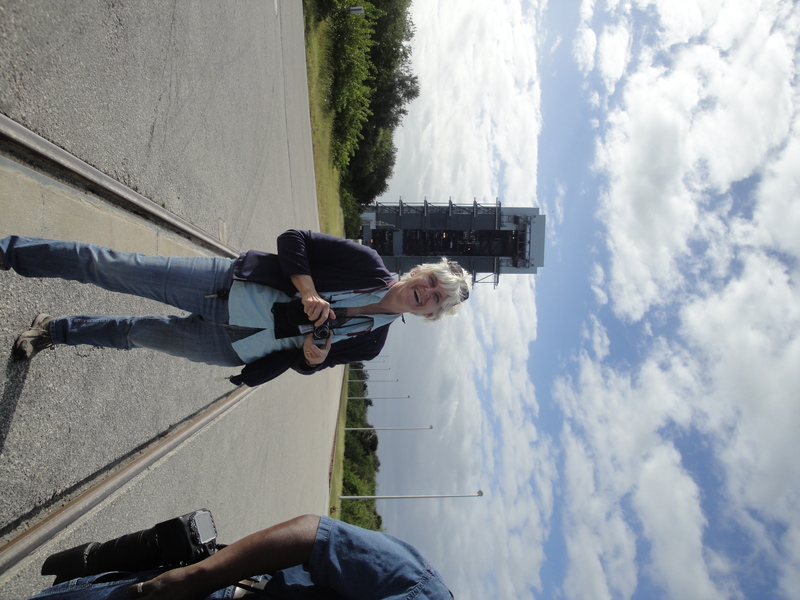 Carol Anne Swagler's photograph of the Mars Science Laboratory attached to an Atlas rocket awaiting launch at Kennedy Space Center Pad 41. 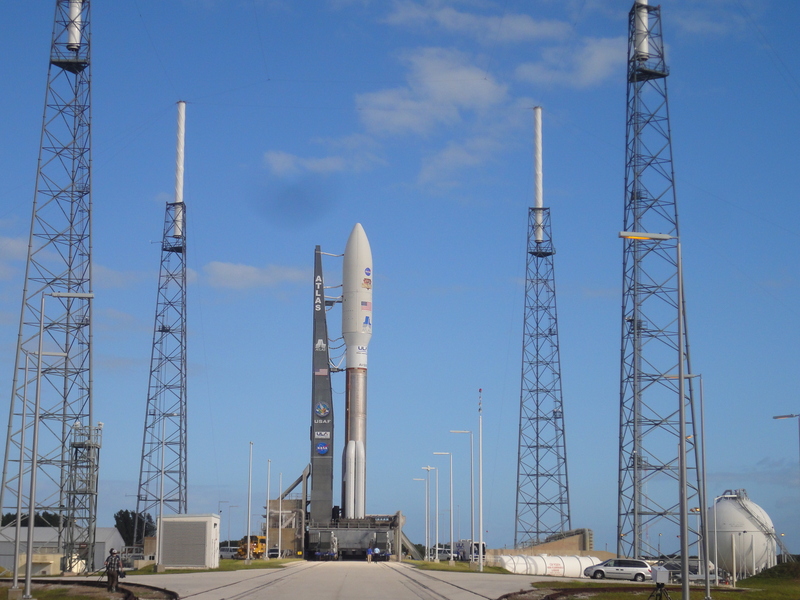 MSL was moved to the pad on Friday morning, November 25, 2011, one day before anticipated launch at 10:02 am Saturday, November 26, 2011. 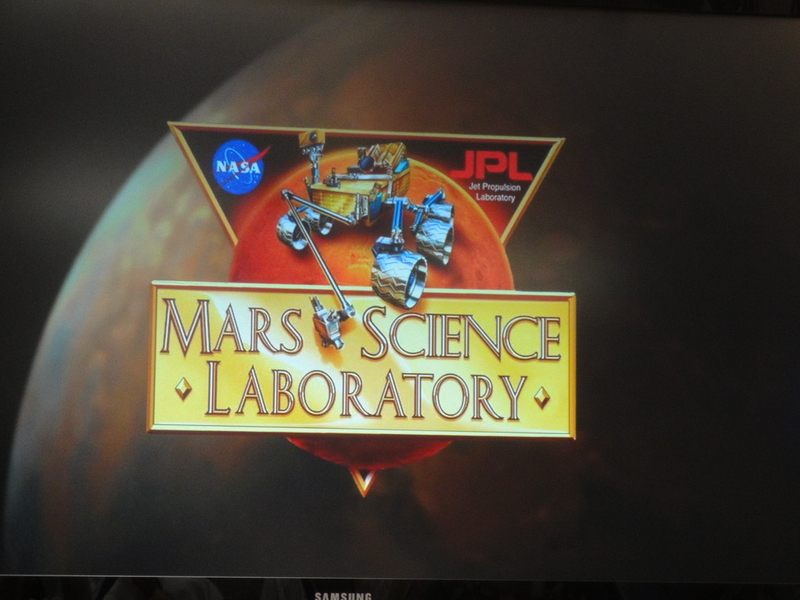 MSL is scheduled to land on Mars on August 6, 2012. This photograph was taken at 10:40 am Friday, November 25, 2011. 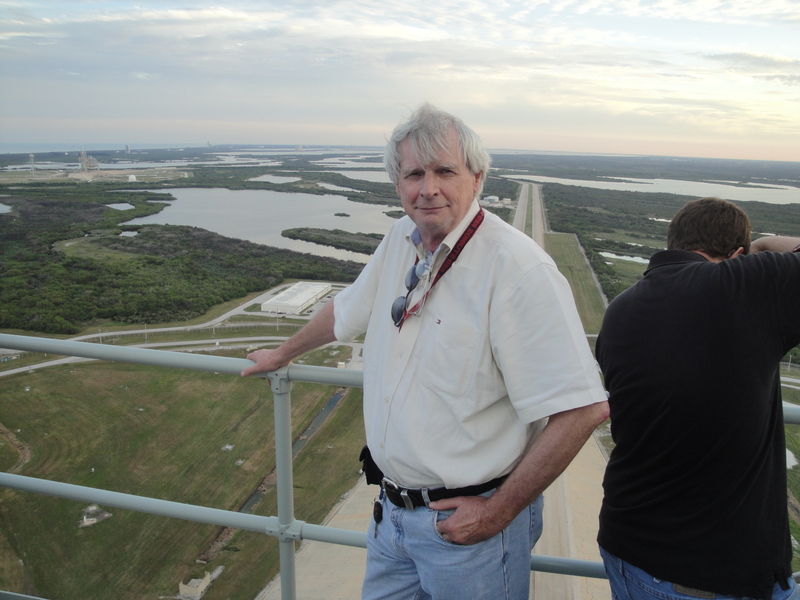 Pete Crow Seine/Harbour™ Productions and The Grove Sun Daily, is shown on top of the newly re-purposed Launch Pad 39-B at Kennedy Space Center, Florida, on November 23, 2011. On the left hand side of this picture the now unused Pad 39-A where shuttles were launched can be seen. Re-purposing Pad 39-B will be completed in 2017 at a cost of $350-million. 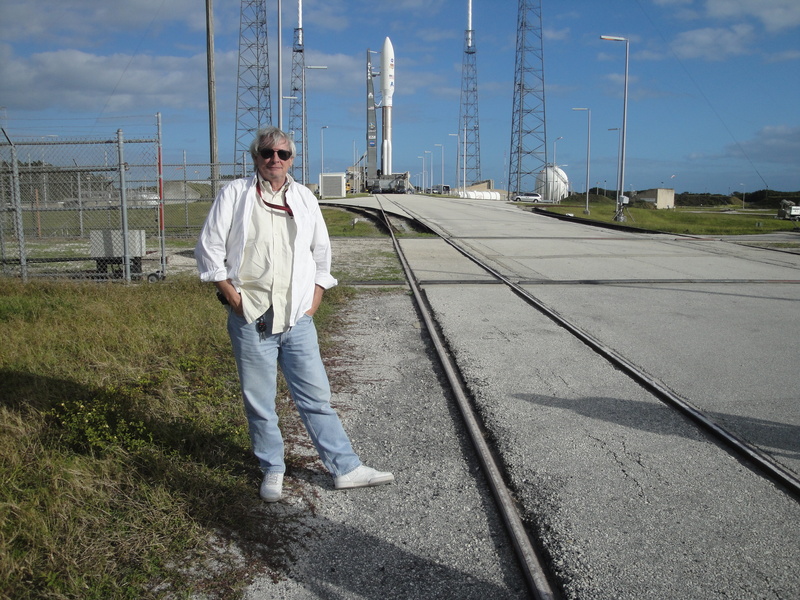 Also Launch Pad 41 where the Mars Space Laboratory was to be launched on Saturday, November 26, 2011, is visible. 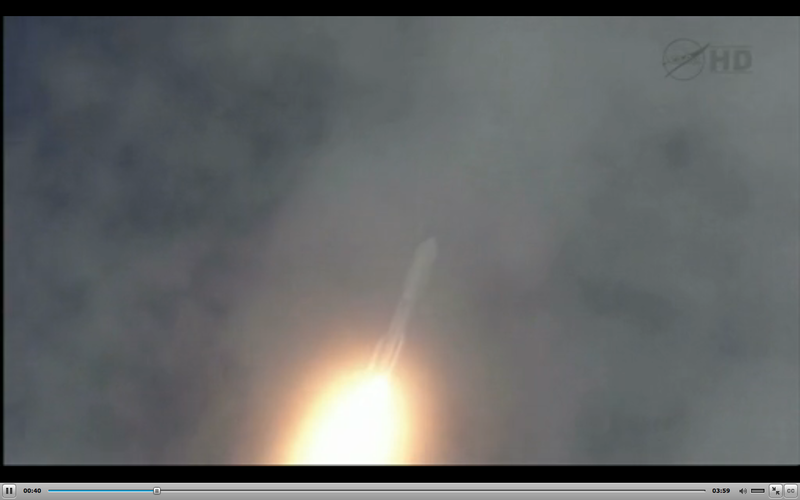 The liftoff of the Mars Science Laboratory is now scheduled for 10:02 EST from Kennedy Space Center, Launch Complex 41. In coming days, as time permits, I’ll post the photographs of the MSL mission, and write about NASA’s plans now going forward from the Space Shuttle from briefings NASA has held this week for the media. I also have updated photographs of the Launch Control Center Firing Rooms 1 and 2 which I visited on Wednesday, November 23, of the Vehicle Assembly Building where the shuttle Endeavour is stored, and inside hangar #3 (Orbiter Processing Facility #3) which shortly will be gutted and re-purposed by Boeing which now occupies OPF-3. I will also post photographs of the now re-purposed Launch Pad 39-B (above) which was demolished last summer and has been partially rebuilt. petecrow/NASA is copyright 2011 by Peter Michael Crow and by Seine/Harbour™ Productions, Studio City, California.